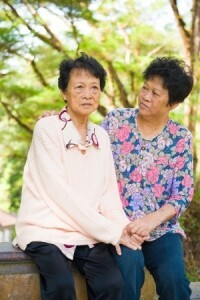 What is self-neglect and what are signs of self-neglect of senior citizens? Seniors may sometimes appear to be suffering from caregiver neglect, when in actuality, the neglect stems from the elderly person’s own behaviors. Tragically, sometimes elders neglect their own care to the degree that is can lead to illness or injury, which can even mimic care giver abuse or neglect. Self-neglect is one of the most frequently reported concerns brought to adult protective services. Oftentimes, the problem is paired with declining health, isolation, Alzheimer’s disease or dementia, or drug and alcohol dependency. In some of these cases, elders will be connected to supports in the community that can allow them to continue living on their own. Some conditions like depression and malnutrition may be successfully treated through medical intervention. If the problems are severe enough, a guardian may be appointed. Regardless of the cause, if someone you love is suffering from neglect it is important that you step in and try to assess the problem. Self-neglect can escalate into potentially serious consequences including dehydration, malnutrition, and even death.